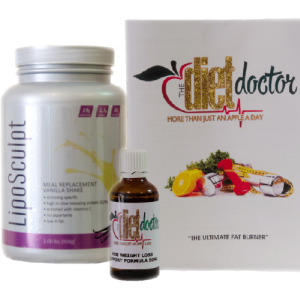 Just a little information about us so you can understand why we are so passionate and involved with this incredible HCG weight loss protocol. I myself have struggled all of my life being the plump little girl, on and off diets since I was 13 years old and of course everyone always said its just puppy fat - you will lose it! Eventually after many years and 3 children later I was no longer fat but actually obese. I was constantly depressed and my comfort was food, I became an emotional eater. I have been on every diet, bought every new slimming product on the market joined every slimming club etc. - Yes you name it, I have been there done that and worn the T-Shirt. Yes I did lose a few kilograms here and there but nothing that made me change my lifestyle. When you are so overweight a loss of 2 or 3 kilograms really does not make much of a difference and is not very motivating. I turned my life around! I lost 34 kilograms in only 4 months and even my own Mother did not recognise me. Due to my own success using the HCG Diet Protocol I decided that I had to share and make others aware of this amazing weight loss solution. Our team is myself Helen, and Alexis my daughter, who is just as passionate as I am. Obviously Alexis has been with me through my own weight loss transformation. Alexis was never overweight in my opinion but she wanted to get back to her Pre-Pregnancy weight and successfully lost 9 kilograms and loads of centimeters. This makes us very knowledgeable about the HCG Diet Protocol. Alexis and I are so very passionate about the HCG because we have know that this is the solution for those battling or struggling to lose weight, and we have seen how it really can change your body for life.